The globalisation of capital markets has led to a sharp increase in the importance of International Financial Reporting Standards (IFRS) of the International Accounting Standards Board (IASB). The breakthrough of IFRS in the European Union (EU) occurred with the approval of the so-called IAS Regulation by the European Parliament and the Council of the European Union. In one fell swoop, 7,000 companies were thus obliged to apply the standards of the IASB. 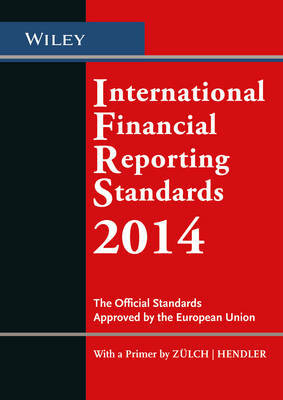 This compact book contains all the official International Financial Reporting Standards (IFRS), International Accounting Standards (IAS) and Interpretations (SICs, IFRICs), approved by the European Union and thus mandatory for companies operating in capital markets. A handy reference for accountants, tax advisors, IFRS consultants, and companies applying IFRS. Newly included in this edition are amongst others the amendments to IAS 1 (Presentation of Financial Statements) and IAS 19 revised (Employee Benefits).